Participant will learn the basic knowledge of calligraphy materials and tools and how it is different from lettering and also a brief introduction to different calligraphy script. 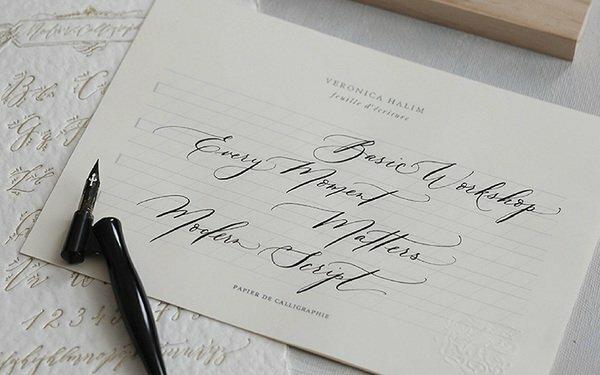 How to write using calligraphy pen, a brief exploration on alphabets. Practice any alphabets you wish to try. How to write words such as: Thank You, Hello, To, From, and Love in a piece of card that they can keep and frame at home. All materials and tools and drinks will be provided in this workshops.